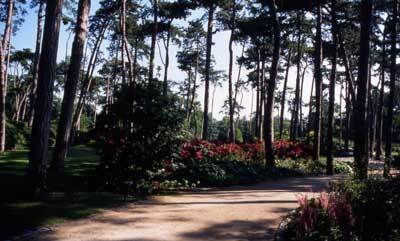 Paris Floral Park was created in 1969 in the forest of Vincennes to receive the 3rd International Flower Show. This 28 ha park is a flight of theme gardens with collections of perennials flowering through the seasons. Tulips (200 species) in springtime, azaleas and dahlias in late summer, but roses as well and snapdragon, cloves and many others make this park the kingdom of flowers. Discover the water gardens with their lotus, iris and nympheas, or come and see one of the numerous cultural and horticultural manifestations in this so well-named park. From 9.30 am to (5 pm - 8 pm, winter or summer).